William R. Freeman, M.D. 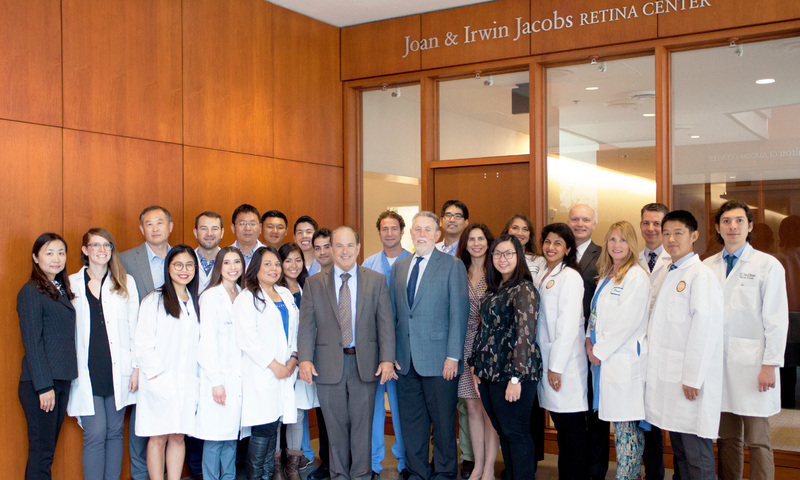 is a Distinguished Professor of Ophthalmology and Director, Jacobs Retina Center. The clinical research center at the Jacobs Center enables patients to benefit from the latest advances in diagnostic equipment and therapies. Laboratory researchers working in the Center focus on advancing promising therapies for macular degeneration, diabetes, tumors, inherited retinal disease, retinal detachment, macular holes and other important retinal diseases. Dr. Freeman earned his graduate degree at Mount Sinai School of Medicine in New York City before completing his residency at Lenox Hill Hospital and fellowships at the University of California, San Francisco and the University of Southern California.